PADUCAH, KENTUCKY – Longtime pastor, city commissioner and civil rights leader, the Rev. Dr. W.G. Harvey, has gone home to be with the Lord. He was 88 years old. Dr. Harvey founded the New Greater Love Missionary Baptist Church and pastored previously the Harrison Street Missionary Baptist Church. 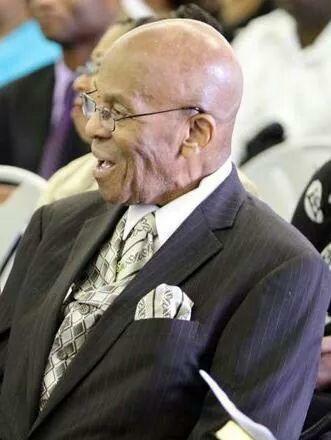 He served New Greater Love until his retirement and was honored as the Pastor Emeritus by the congregation. He held a lifetime membership of the NAACP and was the first African-American elected as City Commissioner. To fax condolences to the family (via Pettus-Rowland Funeral Home) please send them to (270) 442-0272. Doc What happened with the church Clyde Beverly had, Zion Hill in Lexington? He retired last year and relocated to Alabama. He led the church in securing a new pastor and the transition was seamless. 1,062,137 visitors on my site!